The Number 10 line remains the same: expect the vote on Tuesday night. This morning Cabinet ministers insisted the vote would take place. But the numbers are stacked against the Prime Minister - and despite frantic lobbying neither the DUP nor Labour have u-turned to back her. 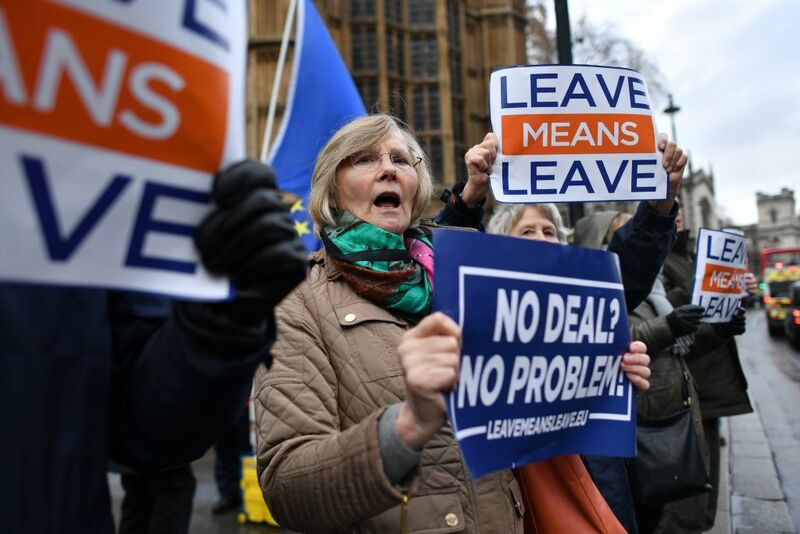 Likewise, a gargantuan effort to persuade her own MPs has largely failed - around a third of the parliamentary Conservative Party say they will defy the whip and vote against the deal tomorrow. The question now is not whether the Prime Minister will lose the vote, but by how much. The government is preparing for a mercy dash to Brussels to secure concessions on the backstop. But when will that come, and what could it achieve? The chances of it happening before the vote now seem slim - a European Council is in the diary for Thursday. Going back to the table then would presumably necessitate losing the first vote. It is by no means definite that concessions on the backstop could be secured in any case. Brexiter Tory MPs are already wary of a 'form of words' being strung together by the political leaders with no real technical effect. One told talkRADIO it would have to be "very convincing indeed" to change minds. Mrs May spoke to Donald Tusk and Leo Varadkar last night but Downing Street did not release details of the calls - saying only that they did not concern the Withdrawal Agreement. If the Prime Minister has failed to find any wiggle room she may be entering not only the "endgame" for Brexit, but the endgame of her premiership. This morning The Times reports that 48 letters of no confidence will be reached this week. Similar whispers have been a constant theme in Wesminster for months. Could she realistically fight a leadership battle while renegotiating elements of the deal? That would be extremely difficult in purely political terms. Some MPs feel something has to give today. One said: "The line has to change, she can't keep treating us like this." Simply going head-long into the vote will be to face down huge pressure at Westminster. Could Downing Street reverse course tonight? Rumours say Mrs May will decide with Chief Whip Julian Smith whether to press ahead with the vote. Could an amendment from Hilary Benn be exploited by the government? He has tabled text which would avoid the humiliation of a direct defeat. But the House of Commons - where Mrs May does not command a majority - may find it difficult to resist pushing to the vote. There is also this consideration: cancelling the vote could be seen as a huge moment of weakness and an opportunity for the PM's enemies to argue she has lost control. For that reason, perhaps, Mrs May is said to be personally opposed to pulling the vote. Options are running out fast for the Prime Minister, who now seems caught between losing the vote and cancelling the vote - both far from ideal for her and neither in her plan.